New York, NY (March 8, 2015) – This week is AmeriCorps Week and what better time to recognize the hard-working AmeriCorps members that staff our health centers. We currently have 19 young health professionals serving at sites all across the Institute as members of our Community HealthCorps program. They engage in immersive and important care, education and outreach – services that would not be possible without them. They willingly commit to 11 months of full-time service, while living on a stipend of just $12,100 per year. 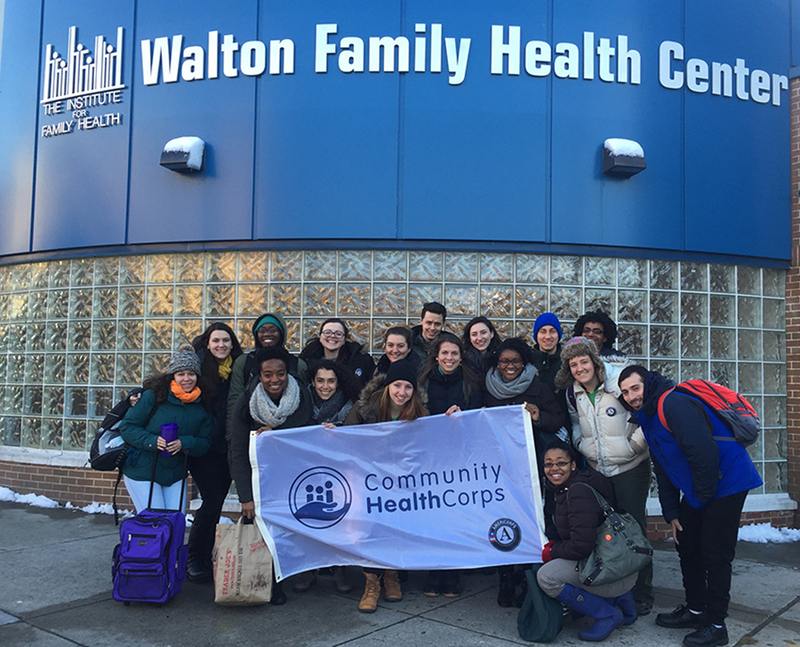 The current group is the tenth Community HealthCorps team hosted at the Institute, and they have made an indelible impact on the communities we serve. Throughout early March, the Institute for Family Health Community HealthCorps team is holding small events throughout our various sites to celebrate AmeriCorps Week, and to bring awareness to Community HealthCorps’ presence and work at the Institute. Keep an eye out for a presentation or Q&A near you. You can read more about our members and their experiences as national service members at the Institute on the IFH Community HealthCorps Blog. If you work alongside a Community HealthCorps member, or meet one, please be sure to thank them for their service!